We at JaneiteJournal were so excited yesterday that our bonnets almost blew off. The news reached our ears that our favourite Duchess, Kate Middleton, is in fact related to our favourite author, Miss Jane Austen herself! They are, unfortunately, just obscurely related; eleventh cousins six times removed. I am pleased to say, I don’t even know what that means, or whether Royal protocol would have dictated Austen bowed, curtseyed, scraped or purchased a wedding gift from John Lewis. Kate Middleton, everyone knew, couldn’t really be classed as a commoner, whether or not she was titled. It wasn’t as if she was shoplifting in Primark when HRH Prince William noticed her, so it’s hardly come as a surprise that she is descended from the 15th century2nd Earl of Northumberland. It is through this prestigious name that she is linked to Miss Austen herself. 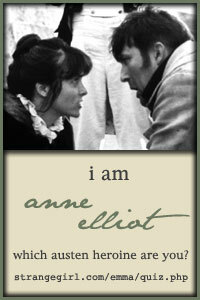 However, to discover that Jane Austen had such noble lineage is a happy accident. What would Mrs Austen have said? She would have been delighted! She did, after all, have an aristocratic nose. She knew she was high born. 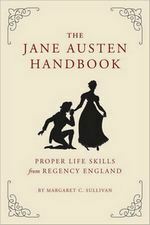 It is a fitting connection indeed, as just about all of Austen’s stories’ heroines aspire to marry a man of higher rank than them. So, has Kate Middleton somehow followed in the family footsteps? She is after all, a modern day fairytale; an ordinary girl gets the prince. A true love story with a happy ending beloved all over the world. The Royal Wedding or Pride and Prejudice?